A Midlands food entrepreneur is looking to distinguish himself from other takeaways with a new take on chips. Awesome Chips in Leicester is the brainchild of Roni Dalal, who was previously a manager with the Zumo juice bar chain. 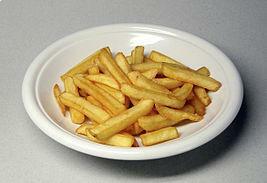 He has now brought the triple-cooked chips concept to the take-out market in Leicester. There's a lot to do when starting a new business and it's easy to get carried away with innovative new ideas but your business insurance needs to be one of your main priorities. Make sure you have adequate coverage to protect your businesses and premises, and your customers. Mr Dalal had the idea for Awesome Chips when he was travelling in the Netherlands and saw how popular triple-cooked chips were there. Usually only found in restaurants in the UK as a gourmet version of the humble chip, he decided to bring them to the take-out market. Mr Dalal told The Leicester Mercury: "The unique selling point of the business is that we use special potatoes from the Netherlands, called bintje, and we cook them in a particular way. "We wash them, cut them, blanche them in water, dry them, fry on a low heat and then, when a customer orders them, we fry them one last time. He previously owned the rights to the UK Zumo juice bars, which have 20 outlets across the UK. Mr Dalal sold that business in 2007 and took time out to go travelling, which is when he experienced takeaway triple-cooked chips. On returning to the UK, he linked up with a designer and came up with the idea of Awesome Chips, which opened before Christmas. On one day, the business served 1,000 customers and has created eight new jobs.